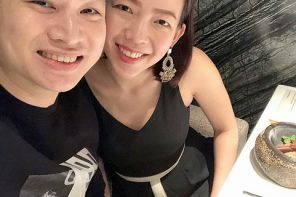 Fea Cookies is the offspring of Zuhri and Marlena, a husband and wife team. 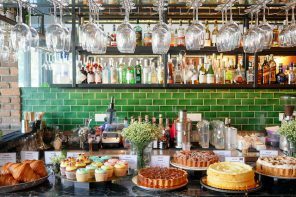 They are passionate home bakers who wish to share their quest for good food, especially good almond biscotti. 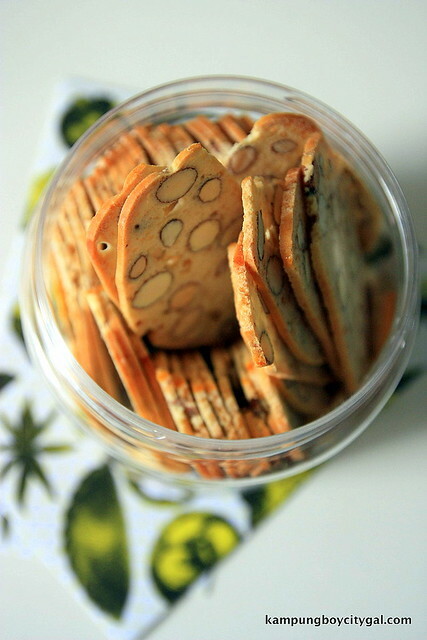 These almond biscotti are really nutty and crunchy, and don’t suffer from dryness and hardness. 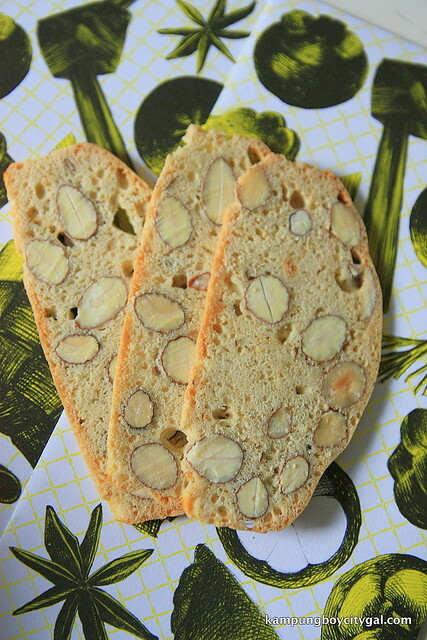 Marlena never skimp on ingredients; every single slice of biscotti is seen with chock full of almonds which added texture to round out the flavors. 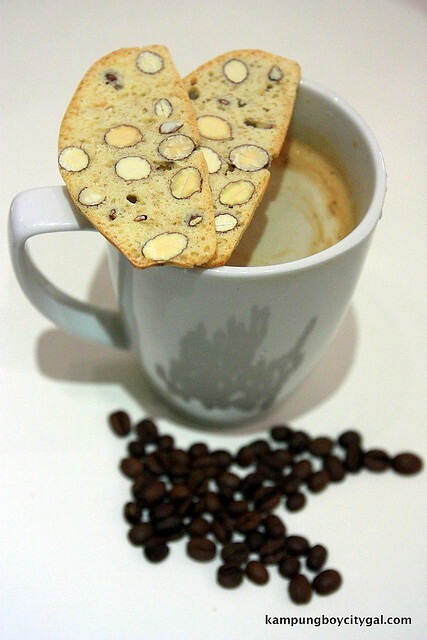 A thin slice of almond biscotti is a tasty afternoon snack and also goes great with a steaming cup of coffee. 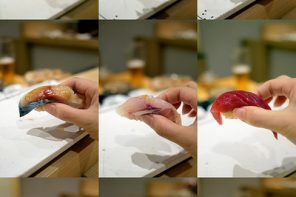 This picture was just taken a few minutes ago, after my dinner at home. So blissful! 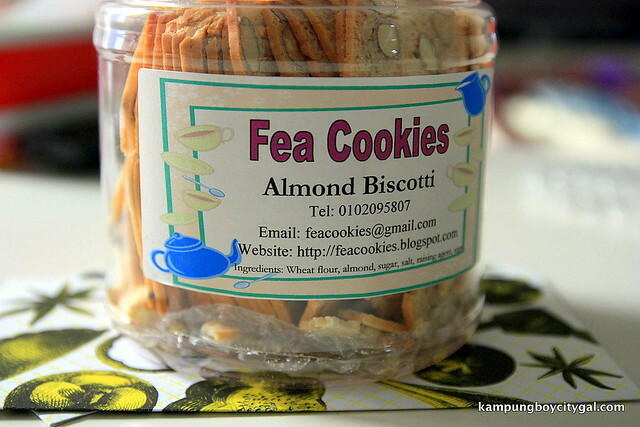 Remember to order Fea Cookies’s almond biscotti, a great snack for gift for this raya season. You can also indulge your craving for these almond biscotti all year round by placing order at [email protected] or sms/whatsapp to +60102095807.